Carrying 23 people, the propeller aircraft went missing on a scheduled flight from Pokhara. Reportedly the wreckage was found in jungle in Mygdi District. 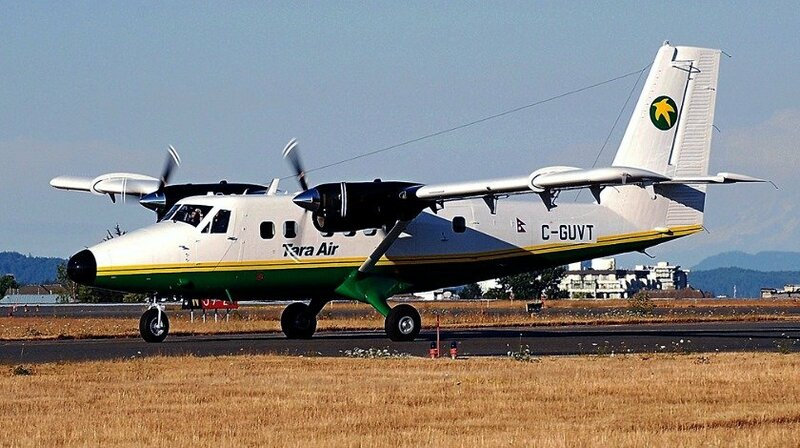 The DHC-6 Twin Otter plane went mssing after the pilots failed to respond to air traffic control transmissing about 15 minuts after the flight took off from Pokhara airfield. 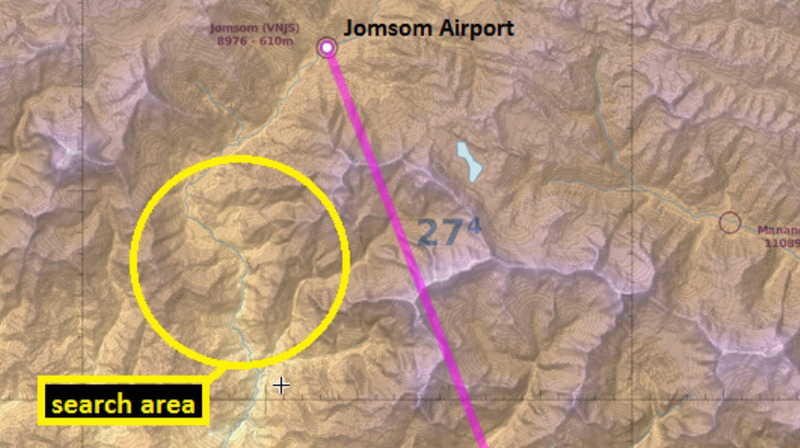 The flight TA 193 took off at 07:50L and was scheduled to land at Jomsom at 08:10L . Last contact was within the vicinity of Ghorepani in Myagda District surrounded by mountain peaks of up top 10.000 ft and higher. A search and rescue mission is underway after the aircraft failed to arrive at its destination and failed to show up on any other available landing opportunity. Local weather predictions were generally good with occasional clouds and only small chance of visibility restrictions during flight. According to Aviation Minister Pokhrel, the aircraft was found to have crashed in jungle at Soli Ghoptebhir in the Myagdi District, northwest of Pokhara. The burning wreckage was scattered over an area of 200 meters in difficult to access terrain.